It is recognized as one of the key elements in many outstanding discoveries in the field of science and health of the 21 century and is one of the most miraculous healing substances on Earth. 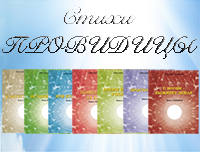 Scientists and doctors around the world are engaged in the study of its properties and unanimously recognize its remarkable characteristics. It can strengthen your health, no matter what state it is in now. This natural source of health far exceeds many other natural antioxidants. The well-known journal of scientific and medical research "HEALTH ALERT" called this substance the missing link in our food chain. All this Fulvic acid, which has a truly unique healing properties. It is not for nothing that modern scientists call it the "Elixir of Life". 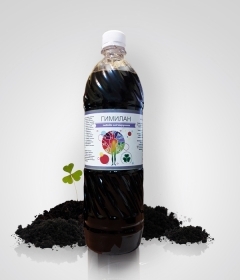 For millions of years Fulvic acid is formed in the soil in the process of processing billions of different microscopic plants with the help of microorganisms and contains 74 organic minerals, 10 vitamins and 18 amino acids. Plants absorb it from the soil, after which Fulvic acid gets to the animals from plant foods, and just like to humans - from plant or animal food. Fulvic acid is a component found in humic substances (derived from Latin humus - "earth" or "soil"), as well as in some rare deposits of organic fulvates. 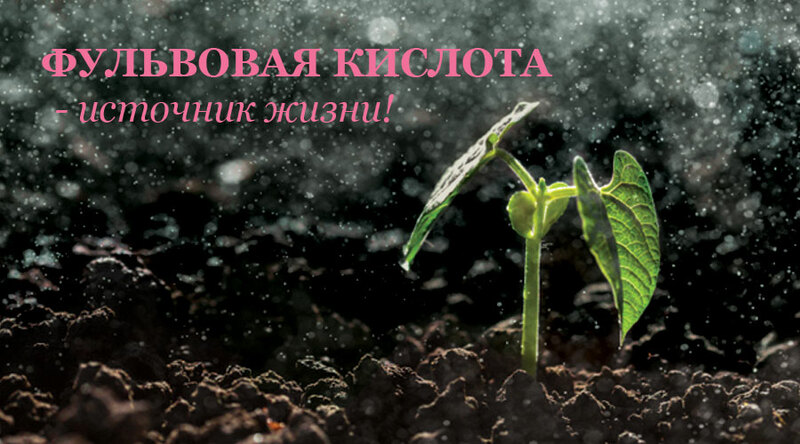 Humic substances are formed during the decomposition of plant and animal residues under the influence of microorganisms and abiotic factors of the environment. Due to its electrolyte properties, it is capable of splitting the mineral and organic substances dissolved into it into the smallest constituents to the size of the ion. Its own molecular weight is so small that it can freely penetrate through the cell membranes. 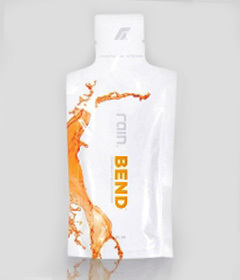 Part of the chemical compounds and elements necessary in the process of vital activity, the body produces independently. The remaining (and most of them) necessary substances, such as minerals (calcium, magnesium, iron and many others) come to us along with food and water. However, not all minerals can be assimilated at the cellular level due to the large molecular weight that prevents the penetration of nutrients through the cell wall. Fulvic acid reacts with minerals and breaks them up into ionic particles, forming fulvates - the smallest possible form of minerals. 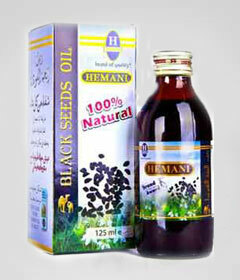 It is in this form that minerals are easily absorbed by the human body. Low molecular weight provides Fulvic acid permeability through the cell membrane. When it is added, the percentage of absorption of bioactive additives at the cellular level rises to 98%, while the standard rule is the bar in 40-50%. Fulvic acid contains photon energy from the Sun, which is converted into chemical energy. This energy is the fuel that feeds the cells of plants and animals. Fulvic acid is a complex compound that has a unique ability to attract and retain both negative and positive ions. This makes it an important transporter of vitamins and minerals. Nutrients that enter our body, enter into a synergistic reaction with plant minerals, resulting in the cells receiving more energy, which in turn contributes to a better physical form of the organism, endurance, improvement of mental activity and concentration, resistance to colds and flu, system. Ions of humic and fulvic acids form an ideal balance for the body from more than 70 different minerals, dozens of vitamins and amino acids. All these substances are biologically active and fully ready for use. Delivering minerals and nutrients to the cell, Fulvic acid binds heavy metals and radioactive substances such as lead, cadmium and mercury, viruses, by-products, and then takes them out of the cell and the body as a whole. Combining a large number of nutrients in its composition, Fulvic acid will give you an overheat that you will not get from other products offered on the market. The molecule of fulvic acid envelops the virus by blocking its entry into the cell and preventing reproduction. In doing so, it sends an alert signal to the immune system about the appearance of the invader, which stimulates the immune system to fight the virus, which is in a vulnerable position due to binding by the Fulvic acid molecule. As a result, the amount of the virus is reduced, and the immune system copes better with the disease. 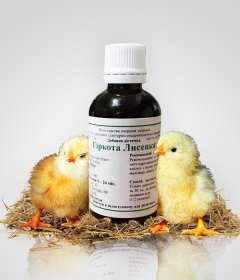 The inhibitory effect of fulvic acid is directed against the early stage of viral replication, so its preventive use is possible, in particular, during epidemics of influenza. Scientific studies have shown that substances contained in fulvic acid have the power of antibiotics, but unlike pharmaceutical preparations they do not inhibit the beneficial microflora and do not cause resistance (stability) of pathogenic microorganisms. 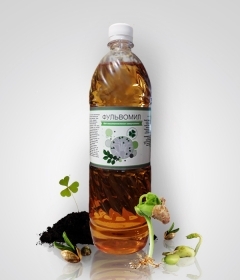 It has a bactericidal effect on conditionally pathogenic microflora, Escherichia coli, Staphylococcus aureus, Proteus and Pseudomonas aeruginosa. Fulvic acid accelerates the healing of wounds and ulcerative defect due to increased proliferation of fibroblasts, activation of water, protein and fat metabolism. Also has a retarding effect on the synthesis of mediators of inflammation - prostaglandins. Locally, tissue hyaluronidase is activated, which accelerates the healing of wounds. The inhibitory effect of fulvic acid on proteolytic enzymes that damage the walls of the vessels and the skin has been established. One of the most pronounced effects of the use of fulvic acid is the enhancement of the overall immune response. Fulvic acid regulates the amount of glycoproteins in the body that affect the balance of T and B lymphocytes. In addition, it activates the synthesis of interleukins 1 and 2, the production of endogenous interferon, gamma globulins, which leads to activation of the inhibited functions of the immune system. Heavy metals (lead, mercury, copper, cadmium, cobalt, zinc and others), getting into the human body through air and food are able to accumulate in tissues. Having reached a certain concentration, they cause severe poisoning and cell mutations. They are not withdrawn from the body on their own, unless other measures are taken. Fulvic acid is actively involved in liver metabolism and acts as a filter for heavy metals. It captures and immobilizes toxic substances, preventing them from entering into a chemical reaction. After that, the toxin is easily removed from the body. Long-term use of fulvic acid in general favorably affects the work of the liver. The level of liver enzymes is normalized, cellular respiration is stimulated, regeneration of damaged hepatic cells is accelerated. Ions of fulvic acid actively influence the restoration of the ability of cells to healthy growth and division. 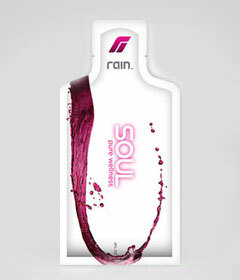 Regeneration of dermal cells improves the purity and elasticity of the skin. Restoration of bone tissue prevents the development of osteoporosis and helps to strengthen the skeleton. The rehabilitation period is shortened after surgical interventions and long-term chronic diseases. Fulvic acid is involved in the regulation of the action of stress hormones, which are produced by the adrenal glands (adrenaline, noradrenaline). Increased levels of adrenaline and norepinephrine indicate an increased level of anxiety. Excess hormones are blocked by acid and do not reach their receptors in cells. In addition, her ability to influence the saturation of red blood cells with oxygen improves overall well-being and causes a person to burst into strength. 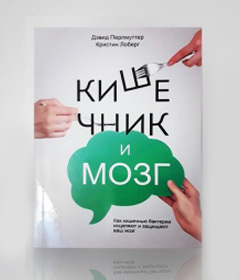 Due to the ability to recognize and bind substances in the body in excess, Fulvovaya acid forms and removes from the body complexes with cholesterol and low density lipoproteins, which makes it effective in combating atherosclerosis and its consequences. Fulvic acid helps in the fight against acidification of the body (acidosis), neutralizing acids in body fluids. It is a powerful antioxidant that protects us from free radicals, which makes Fulvic acid indispensable in the prevention of serious diseases, such as cancer and arthritis. Fulvic acid reduces the sensitization of the body, actively binding and removing allergens from the body. At the same time the amount of eosinophils in the blood is normalized, which contributes to the rapid cessation of the allergic reaction. A number of medical studies show that Fulvic acid is capable of exhibiting anti-cancer properties by inhibiting tumor growth, as well as inhibiting the action of viruses that can cause cancer. Fulvic acid reduces protease activity, which reduces the metastatic activity of cancer cells. Free radicals, as recent studies in the field of oncology have shown, play one of the key roles in the process of the onset and growth of cancer tumors. At its core, a free radical is an inferior molecule in which one electron is missing. In a limited number of free radicals are present in the body of each person. In a healthy state, the body is able to regulate the amount of free radicals and respond in a timely manner to their excess. If the body is weakened, the process of reproduction of free radicals can get out of control, which leads to the emergence and development of malignant tumors. The most important ability of fulvic acid is the active absorption of free radicals, which makes it possible to use it as a component of therapy for cancer diseases. This property is used even in advanced stages of cancer and can significantly slow down the growth of metastases and alleviate the condition of the patient. A panacea for cancer is sought for a long time. A significant role Fulvic acids In the healing of this terrible disease was discovered only recently. 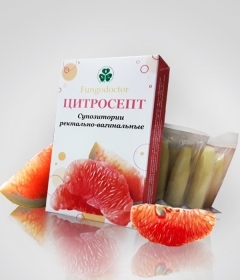 Candidate of Technical Sciences, Chemist and Physicist Milashenko Tamila Petrovna(Krasnoyarsk), successfully cured not one thousand cancer patients, uses fulvic acids in complex treatment and prevention of cancer. And often the cure occurs even in the last stages of cancer. Milashenko recommends the use of fulvic and humic acids in conjunction with the Shevchenko method (taking vodka with oil). In her opinion, this removes the possible manifestation of intoxication and pain symptoms. In patients who, due to a number of reasons, refused to use Tamil Petrovna's treatment scheme (specifically vodka with oil), intoxication and deterioration of health status were observed. 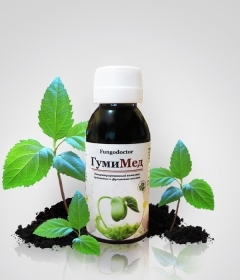 The doctors of our center also widely use preparations that Tamila Petrovna uses, but based on her many years of experience and the effective naturopathic remedies available in the arsenal of the center: Fung drugs from higher therapeutic fungi, Ayurvedic и phytopreparations, nanomicroelements, high-quality oils, etc. 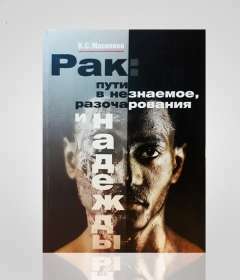 Milashenko's methods have been largely modified. 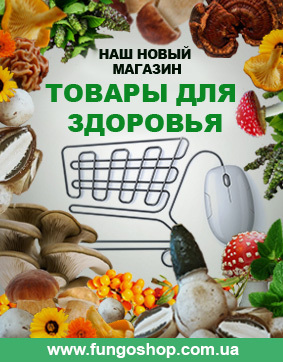 So unwanted side effects are neutralized by a complex addition to the gimilan and fulvomil of mushroom preparations, which supplement the action of fulvic and humic acids and simultaneously excrete poisons, toxins and toxins from the body. Most of his professional work he devoted to the study of fulvic and humic acids and their use in medicine. Convinced of the efficacy and effectiveness of these naturopathic agents in clinical trials, interest in the use of humic acids has only increased. Actual became the question - how can they be strengthened? 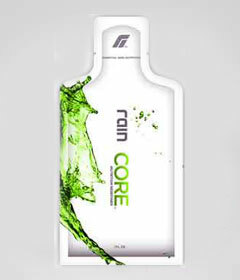 In particular, Dr. Nozum came to the conclusion that the action of fulvic acids can be strengthened Cordyceps (an element of fungotherapy), Rhodiola pink, nanocronomic elements and other natural components. After 17-year experience in the field of alternative medicine, Dr. Nusum brought his product line to life. Improving his products for many years, Dr. Nuzum has become one of the leading experts on this issue in his field. Its development specializes in high-quality patented formulation of fulvic acid - a compound whose deficiency is observed in modern products, and which is essential for proper absorption and removal of toxins from the body. The essence of the development of Dr. Nuzum is to study the increase in the effectiveness of the action of fulvic acids, the compilation of complexes that greatly enhance their effects, and the compilation of products for targeted action in solving various health problems. Modern medicine has already recognized that people who began to take fulvic acid in the early stages of the disease, noted cases of complete cure. In patients with severe neglected form, a slowdown in the growth of neoplasms and a significant decrease in the growth of metastases were detected. "The use of fulvic acid as a solution for the control group of patients with tumors of the thyroid gland had a favorable effect. 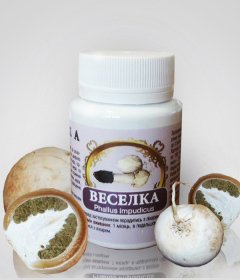 Tumors ceased to increase in volume, there was no metastasis of cancer cells, and in patients who took Fulvic acid before and after chemotherapy, survival rates were higher, the tumor of the gland was completely and irretrievably cured. " Clinical trials have shown the high effectiveness of fulvic acid in the treatment of cancer of the esophagus, thyroid, colon, brain and uterus. Positive feedback from physicians who prescribe fulvata as a concomitant therapy for oncology and other serious diseases allow us to make the wildest predictions for the widespread introduction and use of fulvic acid in various areas of modern medicine. 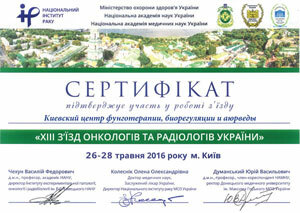 specialists Kiev Center for Fungotherapy, Bioregulation and Ayurveda As a result of studying the experience of American and European doctors, whose prominent representatives are Dr. Nuzum and Milashenko Tamila Petrovna, they collected all the best that can be absorbed from the international experience of doctors - naturopaths for a single goal - a long and happy life of those who turn to center for help. 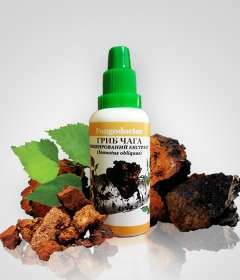 For more than ten years our treatment regimens have been based on unique complexes using such highly effective medicinal mushrooms as veselka, Chaga, chanterelles, koprinus, Polypore, geritsy, agaric, Reishi, shiitake, meytake, Cordyceps etc. The science of treatment with fungi (fungotherapy) once again proves its effectiveness in providing assistance in a variety of diseases. Our practice and research of our partners in the medical field once again confirms the correctness of the approach of using naturopathic methods for curing complex and chronic diseases. For us, the most valuable achievements of our activity are positive results in improving the well-being of our patients. Protocols are developed by our doctors for free - this is, like before, the policy and philosophy of our center. We want to help everyone who comes to us for help. Free consultation The doctors of our center are aimed at providing qualified assistance in order to minimize the harm from self-treatment, which often leads to negative consequences, and as a result, disappointment in naturopathy.